We not only supply new machines we also supply fully refurbished "Grade A" pre-owned / used machines at a fraction of the cost of new. 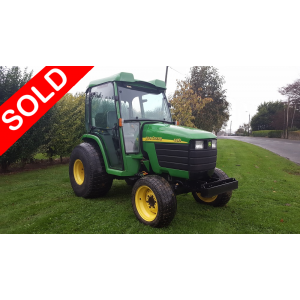 All our used machines go through our multipoint check list and are fully serviced before sold. All machines come with warranty unless otherwise stated. If the type of machine you require is not listed give us a call or drop us an email and we will try and source the same for you. 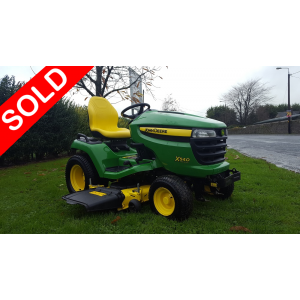 2017 supplied John Deere 2653B utility mower. This machine has only got 277hrs from new. 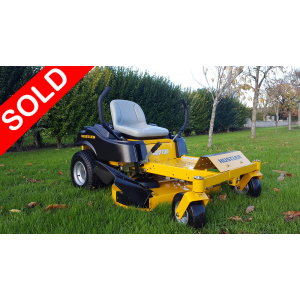 Latest mode..
Just taken as part exchange this immaculate low hour Castelgarden lawnmower. 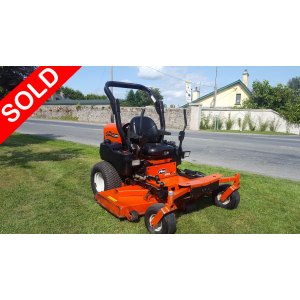 This one owner machine ..
2017 Kubota GR2120 with only 126hrs direct collect diesel lawnmower. 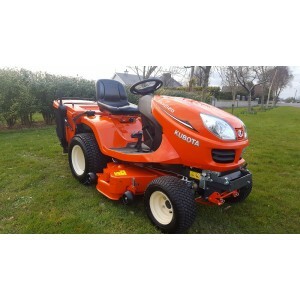 This machine features the three..
Just arrived into stock this low hour Kubota ZD326 zeroturn lawnmower. 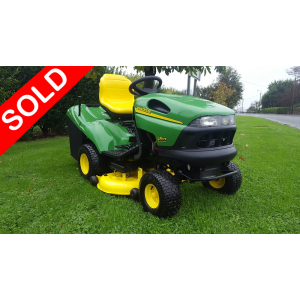 * 26hp liquid cooled die..
Just arrived into stock this immaculate John Deere X350R direct collect ride on lawnmower. 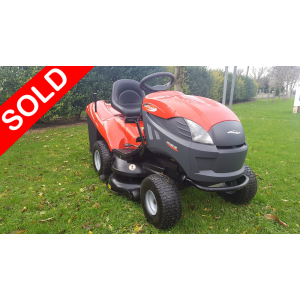 This mach..
Just taken as part exchange this one owner diesel zeroturn mower. 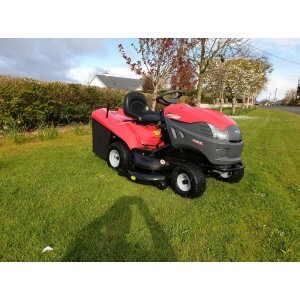 We supplied this machine new and h..
Just arrived against a new unit this Castelgarden PTX200HD direct collect lawnmower. 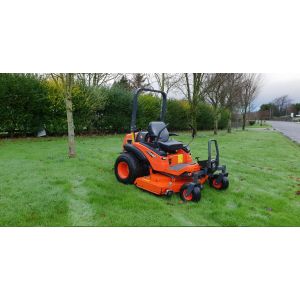 We supplied thi..
2017 Hustler Raptor zero turn mulching lawnmower. 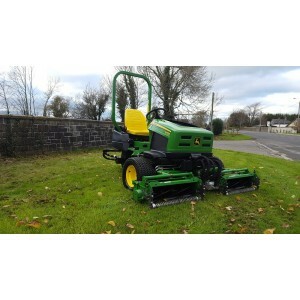 This machine features the strong fabricated cuttin..
John Deere diesel ride-on lawnmower. 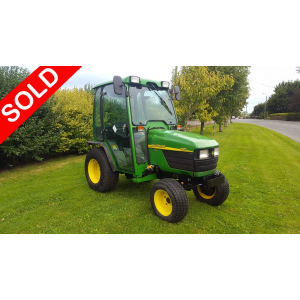 Fitted with a twin cylinder liquid cooled diesel engine,power s..
John Deere 4115 compact tractor 25hp liquid cooled diesel engine Two speed hydrostatic transmiss..
Just arrived into stock this John Deere 4410 power reverse compact tractor. 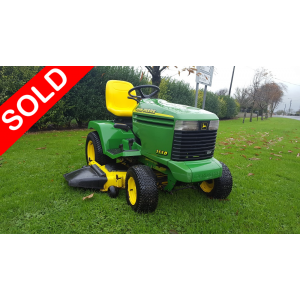 This tractor comes with ..
John Deere direct collect ride-on lawnmower with mulch facility. 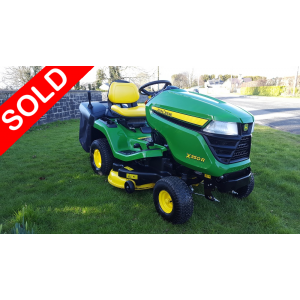 This machine has been taken as a pa..
2015 supplied John Deere X540 professional petrol ride-on lawnmower. 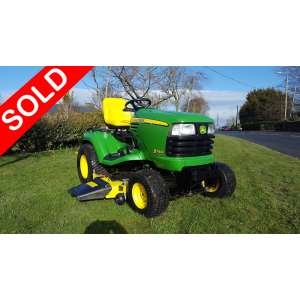 This machine features the power..
John Deere X740 diesel ride-on lawnmower. 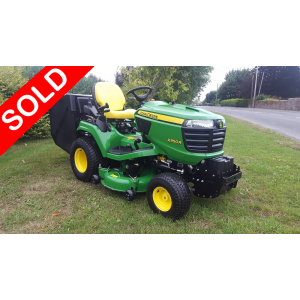 This machine is one owner from new and come with the power..
Just taken as part exchange against a new one this immaculate privately owned John Deere X950R direc..